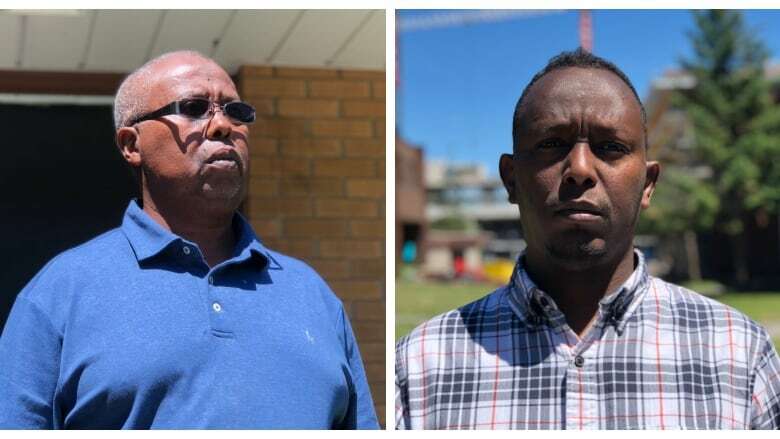 An international housing advocate believes the impending eviction of residents of Ottawa's Heron Gate community is a human rights issue, and says politicians haven't done enough to prevent it. Leilani Farha, the United Nations special rapporteur on the right to adequate housing, lives in Ottawa and recently visited the residents facing eviction. The owner of the development, Timbercreek Communities, announced plans in May to evict hundreds of people in order to tear down 105 low-rent townhomes along the east-west extension of Baycrest Drive to Sandalwood Drive. The company says many of the units are past repair and can't be saved. Timbercreek gave tenants four months of notice and has offered some financial assistance in the amount of three months of rent, a $1,500 moving allowance and help from a "relocation consultant." But Farha said alternatives to eviction have to be explored, both by the developer and the municipal government, which she doesn't believe has been done. "Under international human rights law, governments have certain obligations. They have obligations to make sure that communities aren't just completely evicted from where they're living. The government needs to be working with Timbercreek to get Timbercreek to do the right thing," Farha said. Timbercreek did not immediately respond to requests for comment from CBC Ottawa on Monday. Abdullahi Ali, who lives in one of the townhouses with his wife and six children, has called Heron Gate home for over 20 years. He fears he'll be unable to find suitable housing for his large family elsewhere in the city, he said. Like many other families in his community, Ali needs a three- or four-bedroom unit. "[It is] very difficult to move out, very expensive to rent another place. And it's very difficult to find four-bedroom units in Ottawa." Mohamed Iman, who has lived in Heron Gate with his wife and seven children for nearly 10 years, is hoping people outside of the community will help stop the evictions. "That's not good. This is Canada ... we have rights and freedoms," he said. Finding affordable housing in the capital could prove challenging for families in Heron Gate. 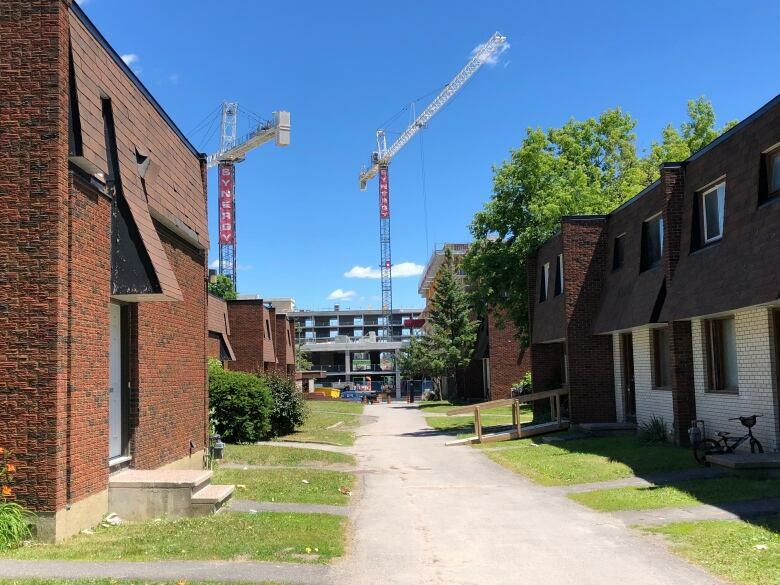 There are approximately 10,500 families waiting for subsidized housing in the city, according to Shelley VanBuskirk, director of housing, community and social services at the City of Ottawa. A family on the wait list for rent-geared-to-income housing will wait approximately four years for a subsidized unit. However, some families facing extreme circumstances — such as fleeing domestic violence or experiencing homelessness — are given "priority access status" and housed more quickly. Families in Heron Gate who are already receiving rental subsidies will have priority access status, VanBuskirk said. "Staff is actively working to secure additional private market units that are suitable to replace those being lost as a result of the demolition," VanBuskirk wrote in an emailed statement to CBC News. "The city and community partners are working together to provide tenants with information, resources and supports for the relocation over the coming months." Coun. Jean Cloutier said he has met with residents and his office is putting tenants in touch with resources to help them find new homes. But Cloutier said his hands are tied when it comes to stopping the evictions. "Timbercreek is doing this under the Residential Tenancy Act. It is a provincial process. If I had the power to stop this, I would. If I had control over this process I would exercise it, but it is a provincial process," Cloutier said. Ottawa South MPP John Fraser said his focus is not on the act, but what he said is a more "prudent and pragmatic" approach to focus on finding housing solutions elsewhere for the tenants. He's calling for more time to be given for families to find appropriate housing. "It's tough, there's no question about that, and three- and four-bedroom units are tough to find. The most important thing is that these families need a home that's affordable, that's close to things that are important to families," Fraser said. Farha said that at the very least, Heron Gate residents should be given the opportunity to move back to their community once Timbercreek redevelops the area. "An alternative to eviction might include relocating the community for a period of time while the homes are refurbished … [and] making sure they have the option to move back if that's what the community wants. And that would mean ensuring that the units that are recreated or rebuilt or refurbished are affordable for those tenants." One way to ensure low-income families are not priced out of neighbourhoods is for cities to implement inclusionary zoning, Farha said. Inclusionary zoning, which came into effect in Ontario in April, is a planning tool municipalities can use to make sure affordable housing units are included in residential developments of 10 units or more. "What's happened in Heron Gate is typical of what's happening more broadly, and if governments don't step up and recognize their role in regulating what private developers do, then communities are going to be lost," Farha said. "People are being pushed out of cities, the people who make cities vibrant." A previous version of this story included an interview with Ikram Dahir who said she was being evicted. In fact, she is not a tenant of the townhomes facing demolition but her family is facing eviction. She lives in a Timbercreek highrise in the same development.